Mit Merkmalen wie großer Platte, Zweikern-prozessor, HDMI-Ausgang und langer Laufzeit gehört das Aspire 1825 zu den interessanten günstigen Subnotebooks; größter Nachteil ist das spiegelnde, nicht allzu helle Display. Vergleichbare (und dann etwas leichtere) Modelle gibt es allerdings schon um 500 Euro, noch günstiger sind einige mit Einkern-Prozessor. While netvertibles like the Acer Aspire 1825PTZ are nothing new, there’s no denying interest in the fold down tablets has picked up since the launch of the Apple iPad. Bigger, bulkier and less desirable it may be, but with a physical keyboard on board, it also has the potential to be a lot more useful. A good all round device, but it’s not light enough for comfortable tablet use, and lacks stand-out features. 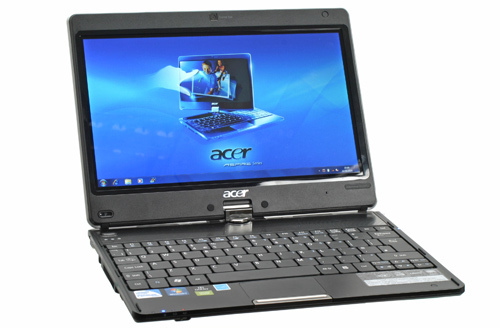 In some respects, the Acer Aspire 1825 offers the best of both laptop and tablet worlds. The device can be held in both hands to watch films, and anyone who hates touchpads can browse their files and media by stroking and prodding the screen directly. Then, when a lengthy email needs to be churned out, the screen can be raised to access the physical keyboard. However, the huge variety of upcoming tablets offer slimmer, lighter, more desirable options for browsing the web on the move, with the iPad proving superior thanks to its excellent operating system, flawless controls and huge range of apps. Despite this, the Acer Aspire 1825 is one of the best convertible laptops you can currently buy, and anyone looking for this sort of portable solution should look no further. A stylish laptop that converts quickly into a tablet. Tablet PCs have been around for many years now, and it's fair to say that they haven't exactly taken the corporate market by storm. The Aspire 1825PT is an attractive piece of kit, but it has a number of issues that hold it back. Many prospective buyers will also be disappointed at the lack of a stylus, which is something all touch-based laptops should come with. Tablet PCs have been around for many years now, and it's fair to say that they haven't exactly taken the corporate market by storm. However, with Apple's iPad breathing new life into touch-based devices, that could all be about to change. 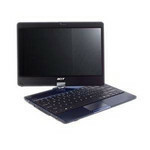 The Aspire 1825PT is an attractive piece of kit, but it has a number of issues that hold it back. Many prospective buyers will also be disappointed at the lack of a stylus, which is something all touch-based laptops should come with. 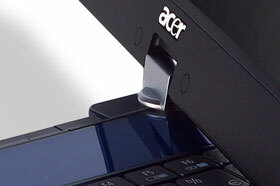 As you’ve seen in the clip, the device is pretty much great for the money, however in terms of aesthetics, finishing and attention to those tiny details that matter so much… well, it remains an Acer. But, although my first impression when i got it out of the box was: "Crap, i can’t believe I’ve bought this", a couple of hours later I was convinced I made a good choice. And I still am. 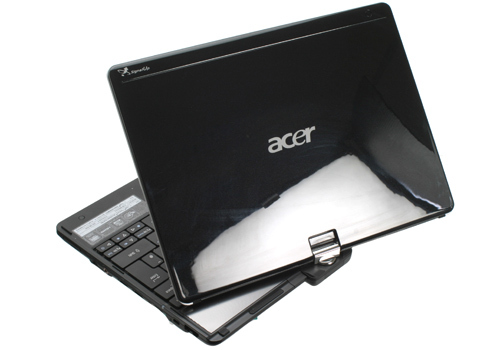 On its own merits, the Acer Aspire 1825PTZ is a great little convertible tablet laptop and not bad value. 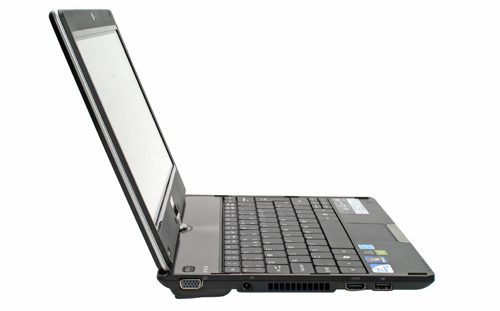 However, the almost identical Packard Bell EasyNote Butterfly Touch simply offers more for the money, so unless a faster CPU is worth more to you than additional RAM and hard drive space, it's the better option. Wer beim Mobilcomputer Wert auf eine volle Notebook-Ausstattung, Handschrifterkennung und präzises Zeichnen legt, kommt an den Windows-Tablet-PCs weiterhin nicht vorbei. Richtig Spaß machen die Geräte aber nur mit dem Stift in der Hand, denn Windows fehlt es weiterhin an einer konsequent auf Fingerbedienung ausgerichteten Bedienoberfläche, und die Zusatzangebote der Tablet-Hersteller sind ungenügend. This is a well-built notebook with reasonable performance compared with general PCs but really quite powerful for its diminutive size. The tablet-mode swivel screen is versatile and genuinely useful for portable applications that make use of Windows 7 touchscreen functions. The notebook's lack of a CD/DVD drive is understandable but annoying just the same, so make sure you buy an external USB optical drive if you don't already own one, otherwise you risk losing your installed copy of Windows 7 forever. 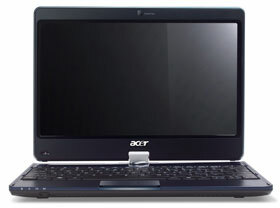 The Aspire 1825PT benefits from decent battery life and an ultra-stylish design. However, although it's always nice to be able to show off by prodding at the screen, the fact is it really doesn't offer much in terms of a boost in usability. It's also disappointing that Acer doesn't include a stylus with which to scribble down notes on the screen. Intel Graphics Media Accelerator (GMA) 4500M: Im GL40 oder GS40 Chipsatz (Montevina Plattform) integrierte shared Memory Grafikkarte von Intel. Technisch eine geringer getaktete GMA 4500MHD (400 MHz versus 533) und durch den geringeren Takt auch kein BlueRay Logo Support.Intel Graphics Media Accelerator (GMA) 4500MHD: Im GM45, GS45 und GE45 Chipsatz (Montevina Plattform) integrierte shared Memory Grafikkarte von Intel. Durch höhere Taktung und mehr Shader ist sie deutlich schneller als die X3100, jedoch immer noch nicht für Spieler empfehlenswert. Kann HD-Videos (AVC/VC2/MPEG2) dekodieren und so die CPU entlasten.» Weitere Informationen gibt es in unserem Notebook-Grafikkartenvergleich und der Benchmarkliste. SU4100: Einstiegs Stromspar Doppelkernprozessor mit realtiv geringer Leistung durch die geringe Taktung. Durch die Pentium Marke, bietet der SU4100 ev. eingeschränkte Stromsparmechanismen.Intel Core 2 Duo: Core Duo Nachfolger mit längerer Pipeline und 5-20% Geschwindigkeitszuwachs bei 0.5 - 3 Watt mehr Stromverbrauch. SU7300: Langsam getakteter Core 2 Duo Prozessor mit 3 MB Level 2 Cache und geringem TDP von 10 Watt. 68.55%: Diese Bewertung ist schlecht. Die meisten Notebooks werden besser beurteilt. Als Kaufempfehlung darf man das nicht sehen. Auch wenn Verbalbewertungen in diesem Bereich gar nicht so schlecht klingen ("genügend" oder "befriedigend"), meist sind es Euphemismen, die eine Klassifikation als unterdurchschnittliches Notebook verschleiern.» Lesen Sie auch unsere Notebook-Kaufberatung.